Economic crime remains a serious challenge to business leaders, government officials and private individuals in South Africa according to The PwC Global Economic Crime Survey 2016. In this survey it was found that the trend has remained unchanged from 2014, with 69% of South African respondents indicating that they had experienced some form of economic crime in 24 months preceding the survey. When compared to the global statistics of 36%, South African’s are faced with the stark reality that economic crime is at a pandemic level! The fact that included in the top ten reporting countries are what are considered to be developed countries brings home a clear message that economic crime is a global issue and one that affects developed markets as much as it does emerging ones! 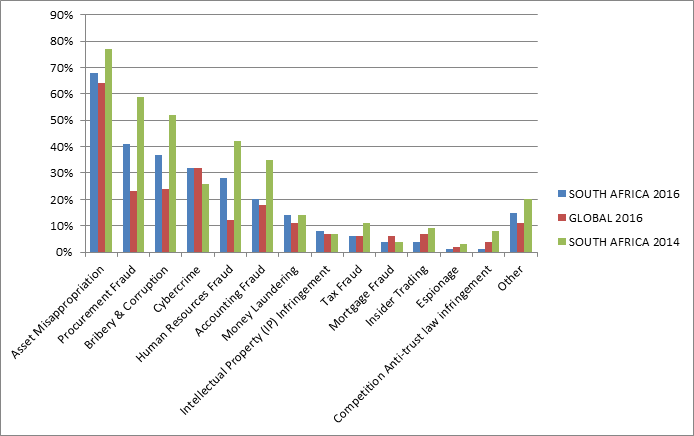 So how do business leaders, government officials and private individuals detect economic crime? This years survey showed an increased detection by means of whistleblowing hotlines over the last two years. This is a sign of growing confidence within society of being able to do the right thing without fear of reprisal. As the number one identifier in fraud, according to the ACFE Report to the Nations 2014 Survey, companies need to consider implementing an independent whistleblowing hotline service provider.